Purchase this product now and earn 3,500 NEXUSPoints! 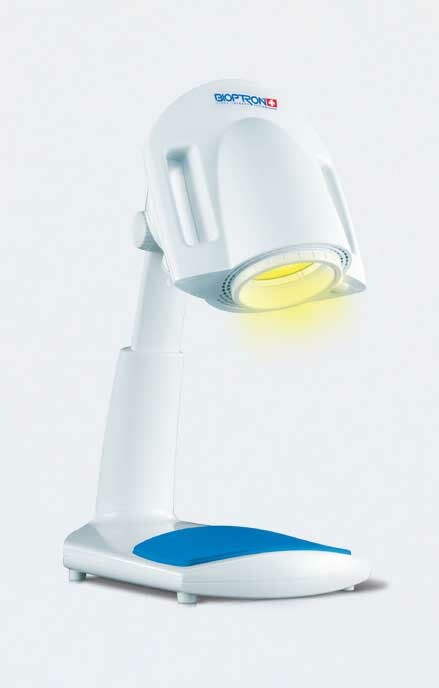 The BIOPTRON Pro 1 Light Therapy device is designed for use at home, in hospitals and therapeutic centres. With BIOPTRON Pro 1 you save energy, time and money as the state-of-the-art sleep mode only uses 0.5 W standby power so that the device can be ready for treatment anytime you want with no energy waste. The device comes with an ergonomic table stand allowing flexible use in domestic and professional environments. The optional floor stand provides easily adjustable height and head inclination as well as the ability to rotate the device head up to 360° allow a convenient usage for nearly any position. Treatments can easily be timed by a control panel down to 30 seconds. An integrated distance rod ensures the recommended distance to the skin surface area. The table stand is additionally equipped with a dust cover and a comfortable supportive mat (disinfectable, exchangeable and washable). The filter diameter of BIOPTRON Pro 1 (approx. 11 cm) allows the treatment of small as well as bigger areas. With the new sleep mode function, you can keep your BIOPTRON device always ready for treatment with nearly no energy consumption. 30 years of intensive research, hundreds of clinical trials, and significant investment make BIOPTRON the world’s leading Light Therapy Device for health and beauty. Before treatment, clean the area you wish to treat and remove any clothing or topical medications before the treatment. Relax and point the light beam at the area to be treated. Hold the device at an angle of 90° and keep at a distance of approx. 10 cm (4 inches). 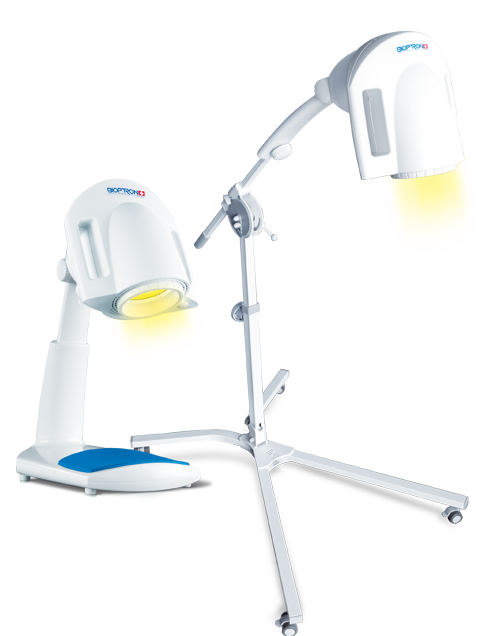 The light beam should not be moved during the treatment. Repeat the instructions for each area of the body to be treated. Unplug the Device after use! For all BIOPTRON devices a floor stand is available which allows optimal positioning and a convenient treatment of the whole body to meet everyone’s needs. 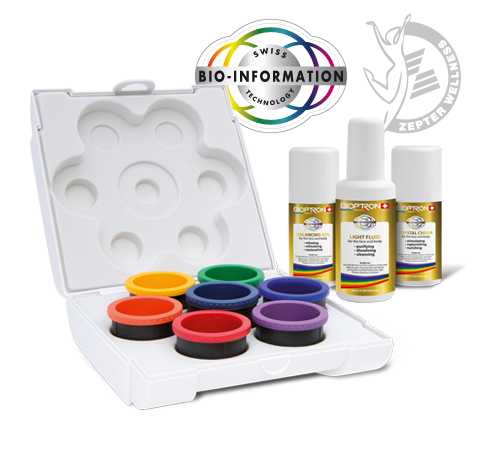 The BIOPTRON Colour Therapy Set consists of 7 coloured filter sand 3 bio-informed cosmetic therapeutic products which work together to enhance any colour light therapy session.